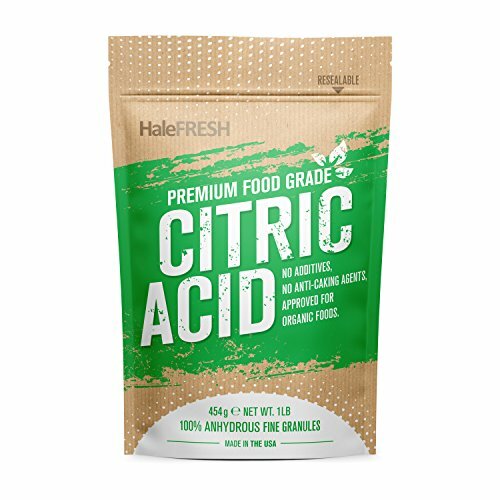 Halechem premium anhydrous citric acid is 100% pure with no fillers or anti-caking agents. It is certified kosher and approved for use in organic foods. The tough, multi-layer pouches include a tear-off tab and re-sealable zipper. Citric acid’s properties as a weak organic acid make it a powerful water softener. It breaks down the trace amounts of metal found in water, and is an ideal all-natural choice for treating hard water. You can also add citric acid to home-made laundry detergent if you have extremely hard water. Mix citric acid with water to use as an inexpensive descaling solution for your coffee maker. This is an effective version of Keurig’s descaling solution in a bottle. We typically mix a tablespoon per 2 cups of water, but your results may differ. If your dishes are becoming cloudy, add a tablespoon to the prewash for sparkling results. Many all-natural kitchen and bathroom cleaners, contain citric acid to help clean hard water stains and kitchen and pantry messes. The pleasant citrusy smell works well as a deodorizer. It is commonly used to clean mineral deposits from shower doors, sinks and toilets. Toilet bombs are also great for removing crud. 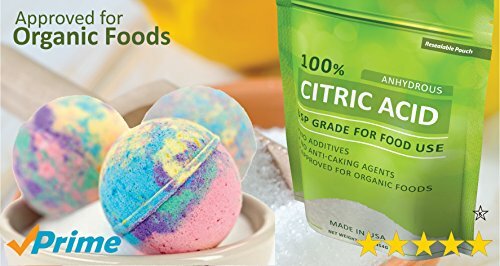 You can make your own bathbomb – fizzy, effervescent bath soap/salt- using citric acid. 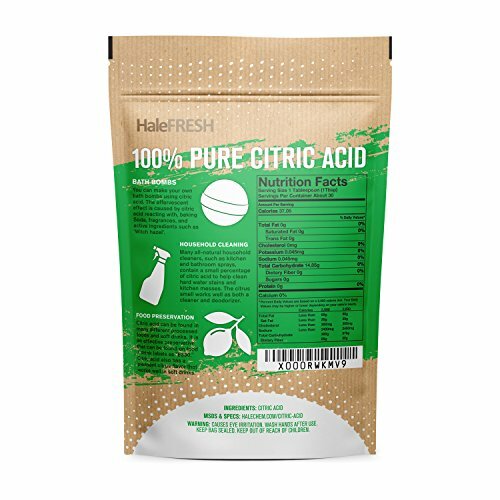 The citric acid is completely safe to use in the bathtub. The “Alka Seltzer-like” fizzy effect is caused by the citric acid reacting with the water and other ingredients of the bomb, such as baking soda and fragrances. It is an effective organic approved preservative found on food/drink labels as “E330.” Halechem citric acid is popular with cheese making, canning, and wine making. 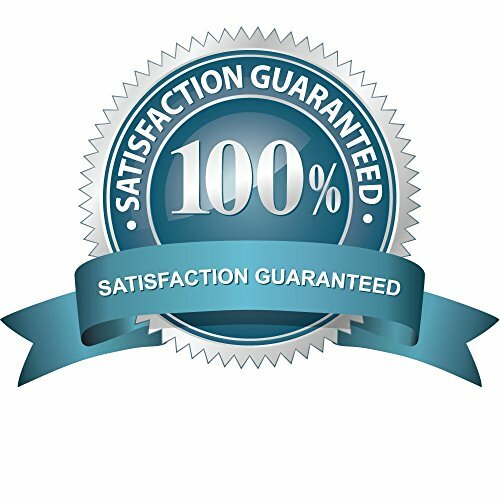 You won’t need much of the concentrated solution to be effective.